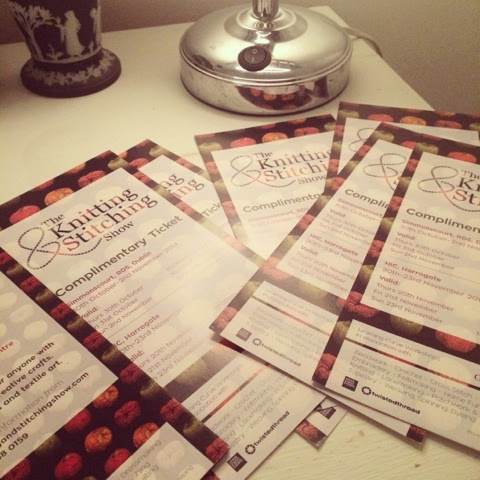 I've been sent a few tickets for the Harrogate Knitting and Stitching show to give away! It's this weekend the event is on in Harrogate so be quick! Valid for Thursday, Friday and Sunday at the Harrogatw international centre! To win a pair of tickets all you need to do is follow my blog and comment with an inspiring crafty idea that I should try this Xmas! I'll choose the winners on Wednesday morning and post out first class special delivery on Wednesday lunchtime!